New Zealand’s visitor information centres. As you start travelling around New Zealand, you will notice these “i-SITEs” more and more. To clear things up, we made this quick guide to what is the i-SITE in New Zealand? With more than 80 i-SITEs in New Zealand, these tourist information centres are a hub of information on local activities and accommodation. They are a free service to help plan and book your travel. Plus, it’s just a great place to stock up on leaflets. 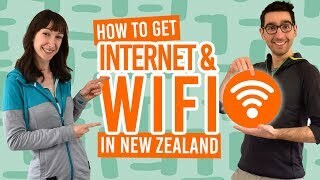 Check out the quick guide to i-SITEs in New Zealand below to find out their services, as well as some i-SITEs that have become an attraction on their own. What are the i-SITEs (visitor information centre)? 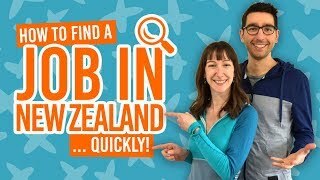 Where are the i-SITEs in New Zealand? What funky i-SITEs can I visit? What services do the i-SITEs provide? The i-SITE brand was created by Tourism New Zealand in 1990. It allows accredited members to open tourist information centres in the main cities or tourist attractions of the country. In exchange i-SITE members offer booking services to tourists much like a travel agency. As towns and cities in New Zealand are quite small, i-SITEs often becomes landmark in each city been a main pick up point for services providers. Getting to know the location of your closest i-SITE is a must when arriving in a new town! Don’t forget to check the bottom of this article for advice on how to best use your local i-SITE. There are more than 80 i-SITEs in the country. 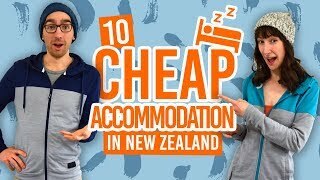 Most places with a tourist attraction – there are lots in NZ! – have an i-SITE, whether it is a city or a gateway to a national park. Local advice – places to eat, shop, etc. The i-SITEs are usually a pick-up point for transportation and activities. You can grab the information you need from an i-SITE, but remember to check the pricing for booking directly through an activity provider – it is sometimes cheaper. Some of the i-SITEs have short opening hours, especially in small towns. i-SITEs can often be very busy so make sure to extend your parking ticket if necessary! The i-SITE is a great way of getting information on national parks. Another good source is The Department of Conservation, which you can read about here.